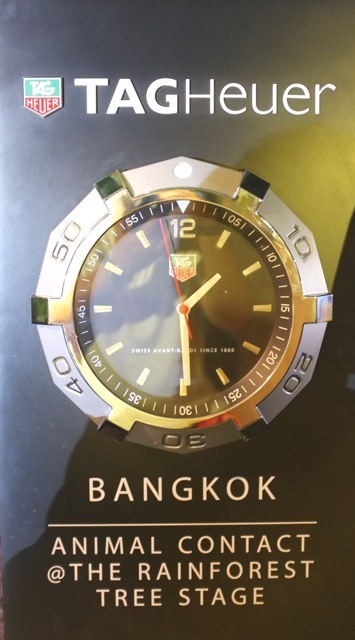 I have seen watch companies sponsoring the clocks in airports, airport lounges, hotels and train stations, but I have never seen anyone being a sponsor of an aquarium. That was until we visited the Siam Ocean World in Bangkok. One of the main sponsor of the aquarium is TAG Heuer. I think that is just cool. I would love to get one of the clocks for my house. 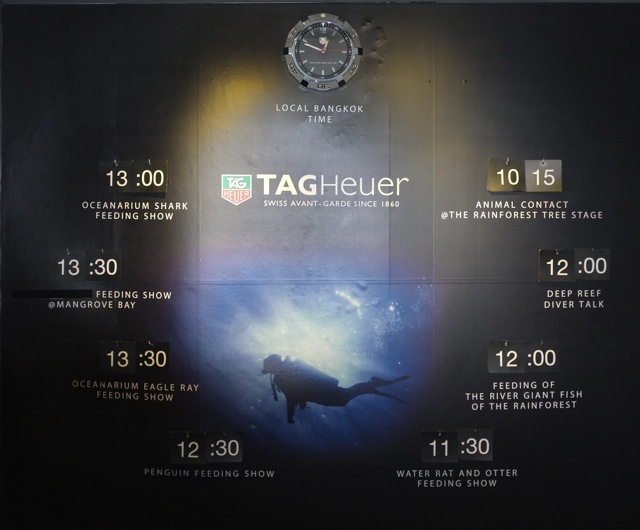 Best way to show and monitor the time for all the shows in the aquarium. Hats off to TAG Heuer.